Today, there’s a dizzying number of beer options. From a funky dark IPA to a pink-tinted sour, there’s tons of variation. 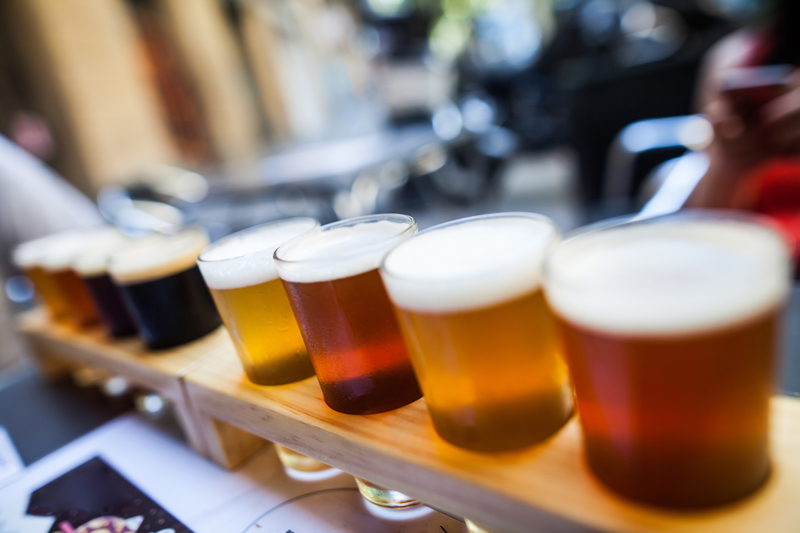 The major difference between beer types is the yeast used during the fermentation process. 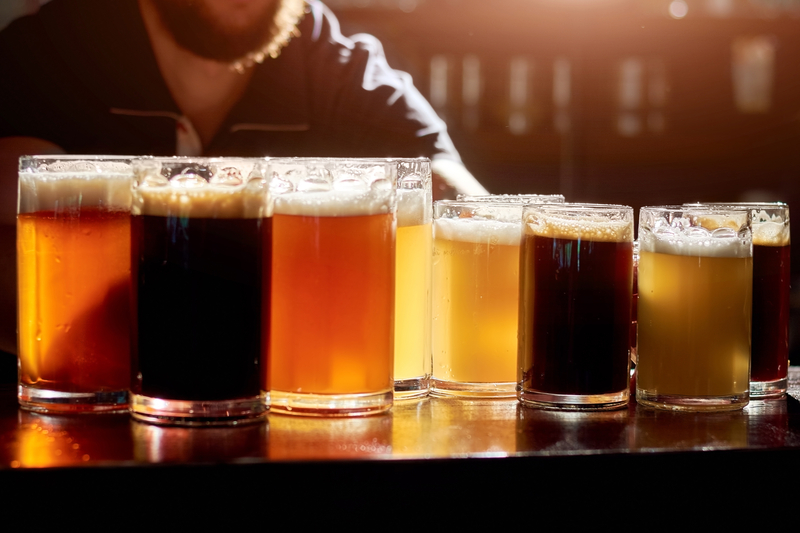 Depending on this, a beer will start out as an ale or a lager and then there are many flavors and styles that continue to develop from there. A top-fermenting beer that tends to be fruity/estery, bitter in flavor, and higher in alcohol content. Traditionally, this beer was brewed without hops but now, hops are used as a bittering and preserving agent. Typical American ales include Sierra Nevada Pale Ale and Three Floyds Brewing Co. Zombie Dust. This bottom-fermenting beer can be pale, amber, or dark. They usually taste light or a little malty and are typically a good entry point into beer for newcomers. Classic lagers in America include Budweiser, Yuengling, Coors, and Miller High Life. Predominately made with pale malt, pale ales have a malty flavor and a golden to amber color. They’re known to be hop-forward with a malty, citrusy flavor. Credited with launching the modern brewing revolution in America, they helped to bridge the gap between light lagers and dark stouts. In 1979, Sierra Nevada put out their first batch of pale ale, which was an enticing alternative to the mass-produced light American lagers. Typically a hoppy pale ale with a higher alcohol content, IPAs came to be when beers needed to survive the journey by sea to British colonies in India. 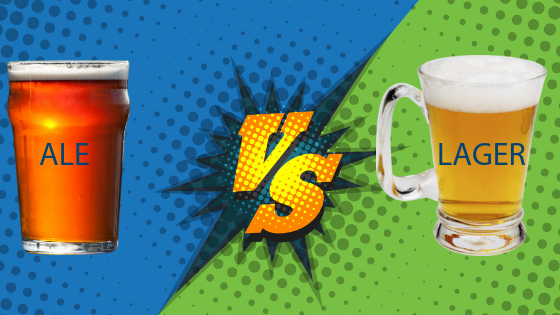 American IPAs are typically brewed with distinctively American hops and the east coast is known to have a malt presence that helps to balance the hops vs. west coast IPAs that have a more hop-forward style. With more hops and pale malts, these British style pale ales are usually gold to copper in color. Most are light bodied, low in carbonation, and a maximum of 6% ABV. These ales are usually under 7% ABV and their body tends to be light to medium. They have a wide range of hop and malt levels and have a lot of fruity yeast flavors. Brewed with unmalted wheat and malted barley, this type of beer is cloudy with a creamy texture. Traditionally, they’re flavored with orange peels and coriander and aren’t very bitter. Popular Belgian whites include Blue Moon or Allagash White. A spontaneously fermented beer, the wort is open to the air and fermented by wild yeast. This results in a large range of flavor from very sour to super sweet, depending on what yeast sneaks in. Alcohol percent usually ranges from 2-8%. With a fruity taste and a lambic-like tang, this type of beer often has added herbs, spices, and ingredients from a local harvest. They’re light in body, dry in finish, and they have a low alcohol percentage. Dark, full-bodied, roasted, rich and creamy, stouts are flavored and colored by barley. The most common stout variation is dry stout, like the Guinness Draught, the world's best selling stout. This dark, medium-bodied beer was developed in London. It’s typically malty and balanced out by a good amount of hops. The oldest type of beer in history, sours today are tart and made with wild bacteria and yeasts. Because of their wild nature, these beers can be light and fruity, super sour, or sweet. This beer is typically made with a ratio of 50 percent barley to 50 percent wheat. This beer is unfiltered and cloudy and often has hints of banana and a dry and tart edge. The ABV ranges from 4-7%. Also considered a seasonal beer, these brews are typically a traditional ale flavored with non-traditional spices and herbs. Usually, the hop content is low so the other flavors can shine through. An example of these would be holiday or winter beers. The standard international beer style, pale ales are beers like Heineken and Miller. They’re usually pale or golden-colored and light to medium bodied. With a crisp malt character and a dry, clean taste, these beers are typically between 3.5-5% ABV. This beer has little hop or malt character. Crisp, clean, highly carbonated, with medium hop bitterness, this beer has bread-like flavors. Originating from Bohemia in the Czech Republic, pilsners are medium to full-bodied, high in carbonation, and made with tangy Czech hops. Typically, they’re around 5% ABV and they have floral aromas, a bitter finish, and a thick white head. More commonly called “Pils” in Germany, the German Pilsner was adapted from the Czech style in the 1870s to better work with German domestic hops and mineral water. With higher carbonation, it’s lighter in body and more crisp and dry. This type of beer has a pure white head when poured. They also have a distinct noble hop aroma. This German beer style dates back to the Medieval era in the town of Einbeck. It got its name due to the subtle language differences between the north and the south of Germany where Einbeck sounded like “ein bock,” which means “billy goat” in German. The name stuck and the billy goat is still seen on packages to this day. This beer is stronger than the typical lager, it’s amber in color, it’s low in carbonation, and it’s light in hoppiness. A subcategory of bocks, the doppelbock is extra strong with rich malty sweetness and a bit of hop bitterness. The color is typically somewhere between amber and dark brown and higher alcohol percentage. Before refrigeration, beer was brewed in the colder months like March (Marzen). This type of beer is usually some shade of copper. It’s rich, toasty, full-bodied, and has a moderately high alcohol content. This western beer is highly effervescent and made by fermenting lager yeasts at warmer ale yeast fermentation temperatures. This brewing method dates back to the late 1800s in California when most people didn’t have access to refrigeration. Without it, brewers had to get creative in order to figure out how to cool the beer down, so shallow fermenters were used. This type of beer is medium bodied, malty, and amber or reddish in color. San Francisco's Anchor Brewing Company trademarked the term "Steam Beer" so it’s also referred to as “California Common”. Seem like a lot? We haven’t even listed every possible variation! However, unless you’re training to be a Cieron, this should be a great starting point. Get to know your beer product so you can answer patrons questions, give suggestions, and increase your sales.